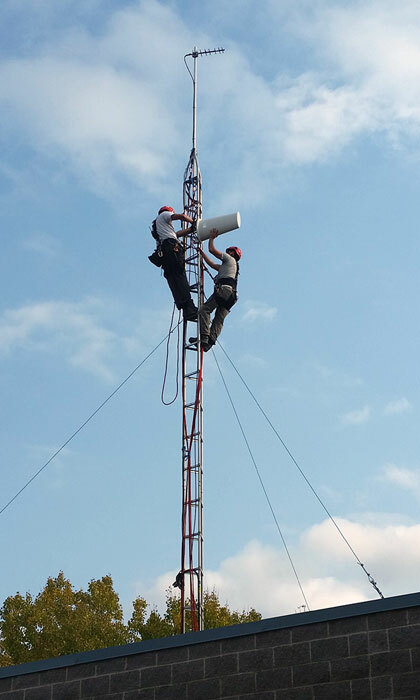 CORE’s turnkey solutions for guyed and free-standing communication towers are designed and engineered by our team of on-site certified engineers. We have years of hands-on experience, technical knowledge, and installation savvy for building a stable communication infrastructure to support your firm’s wireless networks, point-to-point, and point-to-multipoint networks, and mesh and rural broadband networks. Wireless towers and communications infrastructure is an integral part of a total wireless solution. Our skilled team of engineers and installation experts can deploy the infrastructure solution you need from a variety of manufacturers. We work closely with our partnering vendors throughout the engineering, design, provisioning, certification, and installation phases.